Observation - Concentric growths on Hornbeam bark - UK and Ireland. 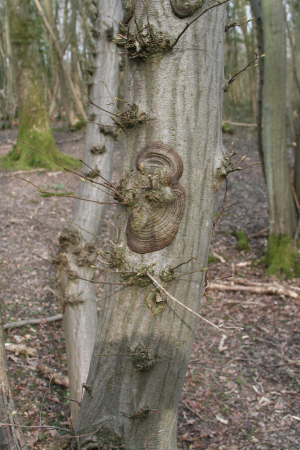 Description: Large concentric rings of hard woody tissue in several places on this hornbeam coppice. Very grateful for any clues as to what causes this and whether we should be concerned. Large concentric rings of hard woody tissue in several places on this hornbeam coppice. Very grateful for any clues as to what causes this and whether we should be concerned.